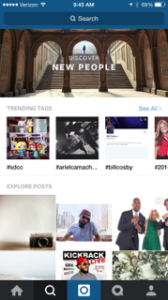 In early July, Instagram released two new and exciting updates that, in their own words, makes it easier to “connect to the world as it happens.” The new ‘Search & Explore’ feature showca ses Trending Tags, an Explore & Discover rotating banner, and additional recommended Explore Posts. These posts are customized recommendations based on who you follow, what you hashtag, your recent locations, and what is trending at that point in time. Search became easier, too! Users are able to search by top, people, tags, and places. To find these new features, users can click on the little magnifying glass at the bottom of their smartphone (second button from the left). These upgrades are able to expand if you click on “see all.” By customizing posts to their target audience, businesses can benefit from these new features. Not only do these upgrades benefit business, as we will get into shortly, but the new features are extraordinary for the typical ‘Instagrammer’. Now, it is easier for users to connect to the world, which in return makes it easier for businesses to connect to consumers. In other words, businesses on Instagram can more effectively market themselves to their target audience in a new, resourceful way. If publicity is what your business needs, the Discover People feature is very beneficial. By following similar accounts and engaging in activities with those profiles, you can create exposure for your business. Also, check out these similar accounts’ followers and expand your network socially by liking or commenting on their photos. This will only allow your brand to grow and could even create a co-brand fusion. Trending Places is another way to get your business on the map. Say your city is trending for instance or you are visiting a trending city/location, you are able to Instagram a photo and tag the location. This will allow your photo to appear on the Trending Places page. Places are also usually hashtagged, which is another plus for businesses, since your business or surrounding location can be tagged and hashtagged at the same time. This kills two birds with one stone, giving double the chances for exposure. 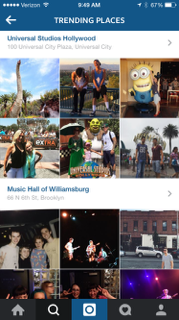 Hashtags can also be used along with ‘location tags’ on photos, which can increase exposure. While searching ‘places’, your business can also build awareness in a certain place, since you are able to search specific locations. ‘Places’ and ‘location tags’ can help your audience grow, however in order to take advantage of this, you have to be willing to engage in the ‘top posts’ by liking or commenting on these photos. If you want to get your businesses’ photos noticed, you will need to use #hashtags. Trending tags populate in real time, so whatever is trending that day will be the first to surface. This week, #nationaljunkfoodday was trending and Instagram was filled with delicious treats. 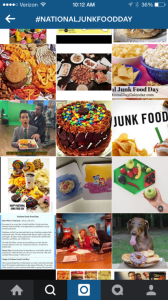 Posts ranged from pets posing with junk food to news broadcasters. If your business would be willing to post a “trend,” it could increase the amount of exposure and show the humorous side of your business! If you are unsure of what to post on your businesses’ Instagram and what hashtags to use (correct spelling, nicknames, and different variation of words/phrases), the new Search feature is something to take advantage of. 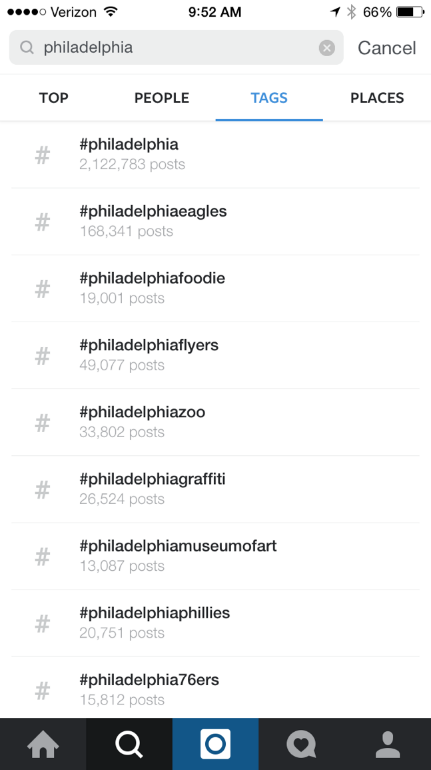 You are able to search for the ‘location tag’ and hashtags that are the most popular and will be the most engaging. With efficient location tags and hashtags, you should see more traffic on your Instagram profile and posts. 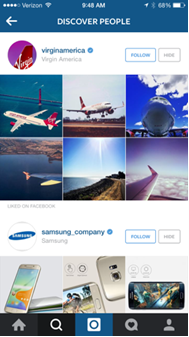 These new Instagram ‘Search & Explore’ features can are really market your business if you utilize them the right way. Spammers won’t die, so Google will constantly make changes to how they rank sites for specific keywords to ensure that there valuable search engine results pages (SERPs) will never be compromised. The looming Panda update (named after an employee that helped work on in it) is a data refresh that will impact sites with thin or weak content. An example of content that can be seen as “thin or weak” is below. Notice how the content mentions the term ‘white’ over and over in hopes of ranking for that term. 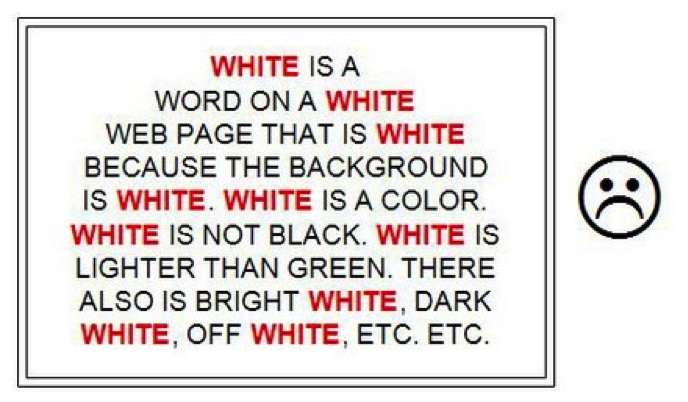 If you Googled the term ‘white’ and this was the content that ranked #1 in Google’s SERPs, this would present a poor user experience. The user may think that it’s so poor that they run another search or, even worse, start using Bing or another search engine altogether. If users lose trust in Google’s ability to deliver relevant results, Google will lose traffic and they will serve fewer ads which will negatively impact their bottom line. It’s pretty obvious why Google would want to penalize sites using these old tactics. This isn’t the first version of Google Panda. A major update was released years ago. You would have known if you were hit by this penalty because your organic traffic would have looked something like this over time. If your site did get hit with one of the past Panda updates and you’ve done all that you could to correct the problem, this update may be one that you are looking forward to. It’s rumored that sites that have “cleaned up their act” may finally be able to get back in Google’s good graces with this update. While we don’t know the exact date of the Panda refresh, you will know if your site has rebounded from a manual penalty because you will notice an uptick in traffic. There is no word on whether the rebound will be immediate or over time, but you should expect an initial increase in organic traffic of about 20% within the next few weeks. Looking for more information on Google Panda? Were you hit by a previous Panda update and need help getting back in Google’s good graces? Sign up for a free SEO Tune Up and we’ll get you all the info you need to make a more informed decision. Over the past few years internet radio has been testing the traditional radio market. People are not only listening to music through a radio in their home or car, but instead they are streaming music through a web browser or app. Unlike traditional radio, we are now able to customize what we are listening to via internet radio sites such as Pandora, iHeartRadio, iRadioPhilly and Spotify. So how did we get here? And why should marketers be aware of the emerging market of internet radio? When radio began it was a form of communication for news and entertainment. The invention of the television shook up the radio industry, and ever since, radio has become more of roadside companion. Now radio is facing competition once again. Internet radio began in 1996 with sonicwave.com. After the introduction of internet radio, the Digital Millennium Copy Right Act was enacted, forcing internet radio broadcast to pay additional royalty fees compared to traditional radio’s charges. Even with the additional royalties, internet radio companies have been flooding the market with great success. Radio has many listeners, especially people commuting to and from work or school. The issue marketers tend to have with radio is that it is broadcasted to a wide audience that is not easy to track. However, internet radio listeners must have a registered account, so it is possible deploy messages based upon demographics and other audience specific metrics. What is helping to make these internet radio sites attractive to listeners is the ability to customize music stations. For example, Pandora’s Music Genome Project creates personalized playlists based on each listener’s unique tastes based on their choices, and subsequently linked with genres, artists and songs. The share of time adults spend between media channels has been shifting throughout the past five years. EMarketer has shown that Pandora’s growth has doubled, while traditional radio dropped by 3%. By the end of 2014, Pandora reported 81.5 million active listeners, while Spotify and iHeartRadio, reported 60 million listeners, each. According to The Infinite Dial, just under 2/3 of 12-24 year olds listen to online radio weekly. Therefore, internet radio caters to a younger demographic, which have been more of a struggle to reach for most marketers. Internet radio advertising has the advantage of targeting within their platform. For instance, most internet radio providers can target by age, gender, zip code, time, day, and device on which the ad is shown. Beyond that, internet radio companies offer the use of ad banners, takeovers, sponsored sessions, audio, video, custom playlist, and engagement functionalities within the site and app to provide advertisers a full brand experience. Beyond advertising as a junction in the listening experience, some listeners with opt in for ads to have longer period of time without them. As an example of such a tactic, Spotify now offers a sponsored session where listener receive 30 minutes of ad-free listening if they watch a video in its entirety. So what does all of this mean for the future of the radio industry? Radio is still a large part of people’s lives and should not be overlooked, at least not yet. Internet radio is evolving and could soon be as integral of a part of the daily commute as traditional radio. Car are currently being built with Wi-Fi capabilities, which will make it easier to stream internet radio while driving. However, Android may be taking it a step farther with Android Auto, creating an platform for vehicles that would be optimized for driving with integration within the digital world – apps, music, and directions. All-in-all the future of radio is changing and marketers should embrace the new channels that are emerging as a way to better reach specific audiences, and tie back exact performance metrics. What’s equally important in the news from Google is that information from indexed apps will be included in the SERPs. I think it would make a lot of sense if I, while searching on my iPhone, saw a piece of Tumblr content in the SERPs and, upon clicking on the result, that content actually opened up in my native Tumblr app. Could this be a sign that Google is investing less in display ads? I’d bet that Google would lose Google Display Network (GDN) revenue if the user was pushed to a site where the GDN didn’t exist. According to this data pulled directly from Google Analytics, ~6% of my traffic comes in via mobile. If for whatever reason Google decided to penalize me for not being mobile friendly, I could bet that I am going to lose that amount of traffic. It looks even worse if tablets are bundled into what Google deems “mobile”. However, a smart marketer would see this as an opportunity. Run your competitors through the same tool and see if they are doing everything they can to be mobile friendly. If they aren’t then you should be the first mover. If you act soon enough, you may be able to turn someone else’s 25% loss in mobile traffic into a gain for you. Some are saying that this will only impact less than 1% of organic traffic, while others are saying that it has the potential to be a lot greater. Rather than try and rehash their data, head on over to SearchEngineLand. They’ve created some very clever ways to estimate traffic opportunity after the April update. Worried about losing traffic when this update goes live and want someone to help you seize the opportunity? Feel free to contact us or even get a free SEO Audit to see where you stand. Recently, Google worked with Ipsos and Sterling Brands to measure the influence of mobile technology on consumer shopping behavior and expectations. This research revealed that 71% of consumers cited the increasing importance of their smartphones to their in-store experience. Perhaps one of the more prominent pieces of information drawn from this study (and one that we as marketers should draw from) is that the consumer experience begins well before the act of in-store shopping. In fact, 87% of shoppers look for information before going into any store. Whether to compare prices, diversity of goods, or user ratings of product value, consumers increasingly look toward their mobile devices to sway their decision of where, when, and how to shop. The value in this information lies in the knowledge that consumers will avoid stores that lack searchable information on location and stock availability. Indeed, data shows that 3 in 4 shoppers who find local information via search results are more likely to visit stores. But the necessity of mobile-compatible search and utility isn’t exclusive to the pre-shopping process. Consumption of online information also occurs during a shopper’s in-store visit, as well as afterwards. Whether for retail, technology, food or healthcare shoppers, the availability and accessibility of shopping information is evermore essential to the shopping—and marketing—landscape. At the end of the day, mobile more than matters: it has become a lifeline between the consumer and the brand. As eMarketer predicted, smartphone usage worldwide would have grown 25% in 2014, with the number of smartphone owners totaling more than 1.76 billion by the end of last year. The merit of this is immense; shoppers today carry a communication channel in their pocket and are equipped with amounts of information unlike ever before. If we, as marketers, want to continue to enliven our brands in this digital age, we must embrace and optimize mobile utility for brands and respective consumers. I recently wrote about an overall SEO strategy for restaurants. While having a great website with a killer menu is awesome, you’ll need to do a few more things to get in Google’s good graces. One of the major ranking factors that encourages the search engines to grant you some nice organic traffic is the number and quality of the links that are pointing to your site. Why are links so important? A link is a clickable reference from one site to another. You can also think of a link as a vote of confidence from one to site to another. The more times that websites link to your site, the more times that other sites are saying that yours is an authoritative site on the web. However, just like in life, quality is more important than quanity here. For example, a link from CNN.com to your website may be more powerful than 100 links from lower quality blogs.When you build these links, you are transferring SEO value from one site to the next. By building up this SEO value, you are increasing the ranking potential of your site as a whole. While this may sound complicated in theory, in practice, it’s pretty straightforward. Your mission is to find websites that want to mention your local business. Here are a few ways you can do this. Guest blogging involves you writing content that includes a link to your site for another site. This is a win/win/win. The site you are writing for gets quality content and time back in their day to spend time with their friends and family. The site’s readers get quality content from a different perspective that is consistent with the overall theme of the site and you get to put your content (and brand) in front of a readership that you don’t have to work hard to build. And, of course, you get that juicy link pointing back to your site to drive your SEO efforts. A citation is a mention of your site that gives the readers an opportunity to review your site or service. Yelp.com is a very big player in this space. There are probably hundreds of these all around the web. Some have more SEO value than others, but they are all important in some way. While the SEO value that is transferred to your site may be minimal, the power is in the mention and the potential traffic that will be sent to your site. Here are a few on which you should concentrate. While this is specific to the restaurant industry, there are others that cater to specific local industries. Creativity is important here. Using the same lawyer example, maybe you want to work with a local hip hop blog to share your perspective on getting your songs licensed to use on television shows. The possibilities are out there and they are endless if you are creative enough. Sometimes, just being yourself is enough to earn press and links. For example, Wil Reynolds from SEER Interactive slept outside to raise money for a great cause. This brought attention to his non-profit and they also linked to his donation page. So, there you have it. Some straightforward ways to earn some valuable links for your local business. If you need some more help and you’d like to work with us. Feel free to sign up for our free SEO Audit. We’d love to help! As Vince Lombardi once said, “The price of success is hard work, dedication to the job at hand, and the determination that whether we win or lose, we have applied the best of ourselves to the task at hand.” I think marketing professionals, if dedicated to winning, must apply these principles to their work. Here are some other fundamental tips that can help guarantee success in today’s competitive marketing arena. Be on the right side of big data. With digital media, today’s marketers have an opportunity to forge one-on-one relationships with consumers that generate a limitless supply of consumer data points. To uncover valuable insights into your customers’ behavior, prepare to mine this information and adapt your marketing strategy accordingly. For example, consider using your social media metrics to discover new niche audiences by grouping people based on behaviors and interests rather than traditional demographics. Be aggressive and drive conversions, not vanity metrics. Campaign impressions, likes, and followers are great, but lead conversions are paramount in today’s competitive marketing environment. You can define conversions as the number of people who filled out a contact form, made a purchase, clicked on an email link, or signed a petition — whatever action accomplishes your overall goal, says Sara Helmy, CEO of Tribu. “Conversion rate is by far the biggest indicator of whether or not our efforts, as a marketing agency, are successful,” said Helmy. Have tough conversations with your marketing partners now rather than later. For example, does your advertising agency add value to your bottom line? Long-term marketing success depends on having the right conversations with your agency at the right time. Have you established key performance indicators and success benchmarks? Try to develop SMART goals for your relationship. SMART stands for Specific, Measurable, Attainable, Realistic, and Time-based. Accountability is critical for all the players in your marketing efforts, including your advertising agency. Fluidity is a game changer. Gone are the days of duplicating the same media plan quarter after quarter. Instead, conduct smaller, incremental tests that allow for adjustments. Your marketing plan should continually evolve in response to a constant influx of data. Data and analytics allow for these types of definitive metrics today. Have the right game plan as it pertains to technology. In today’s digital environment, it is imperative that marketers understand technology and how to apply it to marketing programs. Make sure your team stays apprised of the constant technological advancements in marketing and understands how to leverage it to your company’s advantage. Vince Lombardi also said, “Success is like anything worthwhile. It has a price. You have to pay the price to win and you have to pay the price to get to the point where success is possible.” Which is good to keep in mind, whether you’re building a brand or building a team. the determination that whether we win or lose, we have applied the best of ourselves to the task at hand.” I think marketing professionals, if dedicated to winning, must apply these principles to their work. Here are some other fundamental tips that can help guarantee success in today’s competitive marketing arena. Super Bowl Commercials: the Good, the Bad and the Innovative. Super Bowl commercials might be short in duration, but viewers around the world certainly don’t spend a short amount of time “YouTubing” them. This year, as of the day after the game, we have spent 4 million hours watching Super Bowl ads! So is that a lot of time? Last year, we spent about 2.2 million hours watching these video ads; the numbers nearly doubled! That’s not the only rising Super Bowl statistic- the price is certainly increasing too. The cost of a 30 second slot during the 2015 Super Bowl was $4.5 million…that’s $150,000 PER SECOND! For reference, the first Super Bowl was held in 1967, and they priced the commercials at just $41,000. This brings up the questions, what makes the large cost of these spots valuable? Are they really worth the investment? The number one commercial for the2015 Super Bowl was by Budweiser. On top of the millions of views from people watching the game (which was the largest viewing audience for the event in history), Budweiser also received 21 million views on YouTube! More than that, people are invested in these commercials, and even save their bathroom breaks for the game as to not miss any! For those of you who may not have been able to hold it, we’ve recapped the good, the bad, and the innovative ads from the 2015 Super Bowl. While The Super Bowl is primarily known for heartfelt or hilarious videos created by beer and candy companies, this year things changed. Some of the most memorable commercials included PSAs. The NFL has received a lot of negative media coverage over the last year in regard to incidents of domestic violence linking back to their players, so they created a very compelling commercial to try and regain some trust while generating awareness and support for Domestic Violence sufferers. The subtle 911 call audio combined with images of a house in conflict brought an eerie reality to the painful occurrence, while asking that we listen to people asking for help and take a stand together. Using a different approach to build the Always feminine hygiene brand, #Fightlikeagirl empowered viewers to be more aware of the way they understand, portray and in turn, value contributions from women because of the effect of the negative perceptions have on the development of individuals, and society as a whole. This ad was very relevant with larger exposure to the feminist movement, while also joining forces with a cause, therefore adding brand value. GoDaddy, who is known for the racy and humorous commercials, was forced to take down their commercial and make a last minute switch which in turn reduced their number of views to a fraction of what they would’ve been. The pulled video played off of Budweiser’s heartfelt puppy appeal, showing a lost puppy’s journey back to the family farm, only to be greeted with delight on being able to sell the puppy on her new GoDaddy Website. What was created in jest caused enough unrest among early viewers that the brand made the decision to forego the exposure. Some would wonder if that outcome may have been to GoDaddy’s benefit, with the added exposure before the spot even aired on National TV. Doritos continued their “Crash the Super Bowl” campaign where they solicit customer commercial entries for a chance to be selected as an official Doritos Super Bowl ad. Millions of people view and vote on the video submissions, and Doritos chooses one or two of those commercials to actually air during their slots. Not only does this leverage customer prizes like trips to the Super Bowl, or $1 Million and a dream job at Universal Pictures, but by actively engaging the brand with customers, Doritos gets more exposure, benefits from customer innovation, and connects more directly with the customer values/mindset. 1. Alexa – Budweiser (21 million views) #1 overall Super Bowl commercial! 2. Napoleon- T-Mobile & Kim Kardashian (13.1 million views) #3 overall Super Bowl commercial! 3. James – NFL Domestic Violence (5.7 million views) #8 overall Super Bowl commercial! Skippack, PA. January 7, 2015 – i76 Solutions (www.i76solutions.com), an Omni-Channel marketing and technology services agency based in Skippack, Pennsylvania, announced today that they will now offer clients and brand agencies media planning, buying, research, and reporting services across both linear and digital media channels. The expansion includes media investing and analytics services specific to broadcast and cable TV, out of home, print, radio, sports, entertainment, and consumer experiences. As part of this expansion, i76 has made significant capital investments in technology for deep consumer research data, buy-side execution, remediation tools, and data services from both Nielsen (www.nielsen.com) and Rentrak (www.rentrak.com). At the time of this release, i76 will be the only agency in Philadelphia offering clients access to both ratings services. Leading i76 Solutions’ efforts in media investing will be Senior Director, Integrated Media & Client Relations, Cheryl Albertson, and Director, Integrated Media Strategy, Erin Protheroe. Ms. Protheroe joins i76 from Mayo Seitz Media, where she was most recently the Manager of Media Strategy. Prior to Mayo Seitz, Ms. Protheroe worked as an Account Media Director at MPG/Arnold where she oversaw Local Media buying for McDonald’s Restaurants for 16 years. “Media investing is changing rapidly and requires new strategies and tactics that are supported by new technology. i76 is the perfect venue for clients looking to take advantage of these technology-based platforms when it comes to distributing messages and images across multiple channels,” said Ms. Protheroe. i76 Solutions is an Omni-Channel Marketing and Technology Services agency, based in the greater Philadelphia suburbs. Working with clients, i76 develops multi-channel media and marketing strategies and implements them using technology. i76 Solutions is a Google Partner Agency (www.google.com/partners) and is certified in Google AdWords and Google Analytics. Let’s take a minute or two and rewind to summer. Back when it was warm, and we didn’t have to worry about shoveling any snow! Most of us may recall a trending cause that went viral on social media: The ALS Ice Bucket Challenge. As a participant and donor in this challenge, I decided to do some research and get down to the root of it all. Who and what inspired it? What qualities of the campaign caused it to trend? How successful was it really? As an Omni-channel marketing company, we at i76 are constantly intrigued by the effects that social media can have on companies, people, agencies, and more importantly, non-profit organizations like this. Social media has that power to turn something small and nameless into a worldwide trend. For those of you who may not know, the ALS Bucket Challenge was an online phenomenon, challenging people to dump a bucket of ice water on their head after being nominated to do so by a fellow friend, family member, etc…It encouraged the raising of both awareness and donations to find a cure for Amyotrophic Lateral Sclerosis (ALS), a progressive neurodegenerative disease that affects nerve cells in the brain and the spinal cord. Participants had 24 hours to complete the challenge, or they must forfeit by way of a charitable donation of $100 or more. After accepting the challenge, participants were required to film themselves completing the challenge, while nominating their own three people to complete the challenge. Following this, you must post your video on social media as proof of completing the challenge. Facebook, saw the most activity by far. As of August 15, 2014, Facebook released a series of statistics that stated at least 15 million people have posted, commented, or liked a post pertaining to the ALS Ice Bucket Challenge. Additionally, it was recorded that over 1.2 million people posted a video. Sources say that by the end of this past summer, over $70.2 million had been raised, which is a $67.7 million increase when compared to August 2013. To this day, the ALS Association has raised nearly $100 million in donations. With this money, scientists have increased their global research efforts and are one step closer to finding a cure for Amyotrophic Lateral Sclerosis, also known as Lou Gehrig’s disease. When I first visited the ALS Association’s website, it brought me to the picture displayed on the left. It speaks volumes about how the entire campaign is driven by social media. 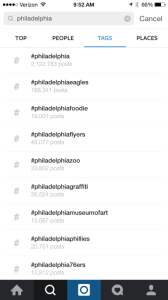 It encourages hashtags, and specifically directs people to post their video on social media. Its success has not only created a world-wide trend online, but even more importantly, a fund-raising triumph! Its impact has been substantial, and participation from celebrities, schools, professional athletes, etc…has not gone unnoticed. So, how did it become so successful? What made it unique? Though there have been varying speculations as to who officially came up with the original idea, it has been credited to Pete Frates and good friend Pat Quinn. Frates and Quinn share a similar story; both former athletes, Frates and Quinn were diagnosed with ALS within one year of each other. On July 31, 2014, Pete Frates kicked off the Ice Bucket Challenge by posting the very first video for ALS. Since its launch, the campaign turned into a social media sensation. One of the campaign’s greatest accomplishments was its ability to convey emotion. Whether it’s laughter, sympathy, empathy, and so on, the entire foundation was rewarding. Not only did folks get to share a memory or a laugh while participating in this challenge, but they also got to contribute to a good cause. “They’ve taken a disease which is not at all funny, and they’ve taken a cause that is not at all funny, but they’ve attached it to social behavior that’s hilarious” says Gartner Analyst, Jennifer Polk. Two of the strongest human emotions that are commonly expressed are humor and anger. Many marketers stray away from anger, as it tends to be associated with controversy. What’s left is humor. In addition to that, adding a sense of urgency, as well as the concept of a “challenge”, is even more engaging; not to mention promoting this campaign in the heat of summer paired well with the refreshing thought of dumping freezing cold water on yourself! Secondly, choosing social media and the most effective platforms was another major factor. Social media is much more interactive and engaging when compared to traditional media. Its ability to reach a mass market and spread a message at rapid rates is exponential. The top 3 social network sites, Facebook, Twitter, and LinkedIn, have transformed into professional networks that businesses now rely on for traffic, and ultimately, sales (or in this case, donations). So there you have it. Social media took one simple idea and turned it into a multi-million dollar success. But now that the summer has passed us, what can we expect next? Though there has been no recent campaign launches for the ALS Association, I’m sure we can expect to see something big again. In the meantime, i76 Solutions would like to pay homage to the ALS Foundation too-but in a very different way. After much collaboration, we have come up with a much more lingering type of challenge. Instead of the Ice Bucket Challenge, in the event of avoiding pneumonia this winter, we have opted in for a Pizza Eating Challenge. Co-founder & Chief Digital Officer, Drew Salamone and Michael McCall, our Director of Strategic Account Leadership and Development, have volunteered themselves and their stomachs to rise to the occasion. Each competitor has exactly 20 minutes to consume up to 2 and a half pizzas and yes, crust must be finished! If crust is left on the plate, that slice does not count! If both competitors fail to finish, they will both make a charitable donation of $250 dollars each to Saint Francis Inn Ministries and JDRF (Juvenile Diabetes Research Foundation). There’s no losing here! Find us on social media to see who wins!